What happens when the past haunts the present and stagnates the future? This is the question at the heart of Francis M. Fesmire’s novel, Nashville Skyline. John Gabriel “Gabe” Rutherford is an emergency physician who can’t quite shake the effects of his father’s suicide. When he closes his eyes, dreams haunt him into fear and hesitance. Again and again, he recounts hearing the gunshot that ended his father’s life or images of death and tragedy as a Civil War general. The world changes around Gabe, but awake or asleep, he is unable to shake the past. Whether or not Gabe will meet the same fate as his father is unknown, and this tension keeps the reader on edge. The timeline of this novel is creative: Fesmire does not tell his story in a traditional or chronological manner. Instead, dream is as real as Gabe’s day-to-day experiences. As much as Gabe tries to live normally—exchanging vows with the love of his life and equally tortured Elizabeth “Sis” Halcyonn Morgan, a hike to secret coves, dinners with friends—he sabotages such experiences. Death is all around him, and he is terrified that he will fall to the same fate as his father. God seems distant, and his father is a constant weight around his ankle. The turning point of the novel is when Gabe finally confronts the memory of his father and the suicide. Fesmire is able to zero in on faith and Gabe’s reawakening to God and life with grace. The following Emily Dickinson quote that Fesmire uses to open part three rings true: “Hope is the thing with feathers / That perches in the soul.” Gabe has to come to terms with his hometown—that skyline—his father’s suicide, and his own approach to life. At times, the language goes a bit overboard. For example, when Gabe dreams about finding his father after the suicide, the desk in the study is described as “scarred by the pain of the past.” And while the novel’s final two sections are full of movement and mind-opening realizations, the conclusion is abruptly shorter. Though certain readers will find it poetic that a compass guides Gabe back home, more elements could be brought into the final interaction. Perhaps Fesmire left this open because a second novel is in the works. To be sure, Gabe and Sis are strong enough characters to carry another novel, if not many volumes. Their struggle to do right in a world that has failed them will resonate with readers of all ages and backgrounds. The Nashville skyline is an important metaphor. From childhood, a landmark building within the skyline included two key letters: L&C for Life and Casualty. Will this man be able to live a life free of the choke-hold of his father’s suicide and will he be able to love Sis enough to really hear her needs and story, or will he be a casualty to the childhood tragedy of losing his father? These questions and more are answered in a book that spans the past, present, and future and dips its toe into dream, faith, and the other-world. 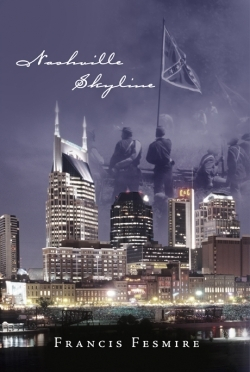 If a person goes home again, the same faint letters may be present, but the Nashville skyline will most certainly change.